In this week’s PSR: Justice needed in Ivory Coast; Cameroon election arrests; Suicide bomb in Somalia; Mapping tool for the LRA; DR calls for education reform; Honduras palm oil murders; Peru human trafficking; U.S. Occupy Wall Street Protests; Dam building suspended in Burma; PNG tribal violence; East Asian floods; Bulgarian anti-Roma protests; Putin calls for “Eurasian Union”; Gay pride parade banned in Serbia; Mosque vandalized in Galilee; Protestors in Saudi Arabia; “Flower of Syria” alive; Afghan/Indian strategic deal; War crimes trial in Bangladesh; Sri Lanka frees former LTTE rebels. 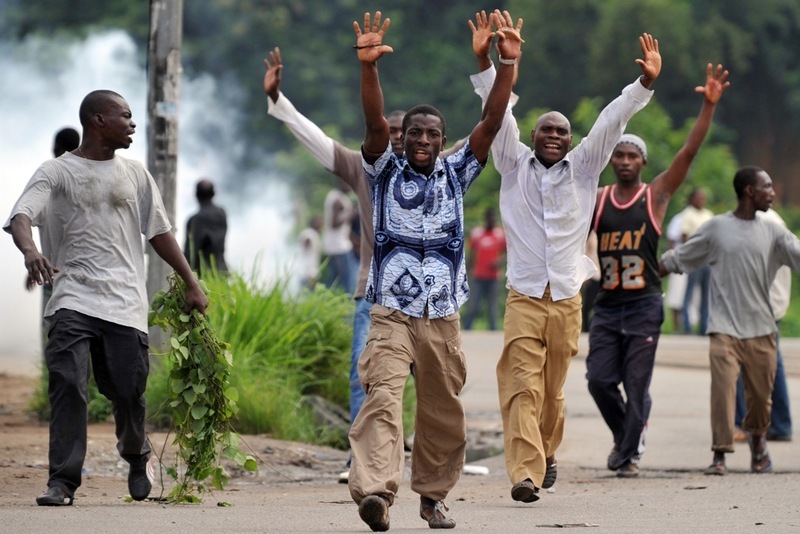 On November 28, 2010, Ivorians went to the polls to elect a president, hoping to end a decade-long crisis during which the country was divided politically and militarily between the north and south. In the week that followed this run-off election, despite clear international consensus that Alassane Ouattara had won, incumbent President Laurent Gbagbo refused to step down. The post-election crisis then evolved from a targeted campaign of violence by Gbagbo forces to an armed conflict in which armed forces from both sides committed grave crimes. Six months later, at least 3,000 civilians were killed and more than 150 women were raped in a conflict that was often waged along political, ethnic, and religious lines. Elite security force units closely linked to Gbagbo dragged neighborhood political leaders from Ouattara's coalition away from restaurants or out of their homes into waiting vehicles; family members later found the victims' bodies in morgues, riddled with bullets. Women who were active in mobilizing voters-or who merely wore pro-Ouattara t-shirts-were targeted and often gang raped by armed forces and militia groups under Gbagbo's control, after which the attackers told the women to "go tell Alassane" their problems. Pro-Gbagbo militiamen stopped hundreds of real and perceived supporters of Ouattara at checkpoints or attacked them in their neighborhoods and then beat them to death with bricks, executed them by gunshot at point-blank range, or burned them alive. RUSSIA: Putin calls for "Eurasian Union"
IPSI Advisor Dr. Craig Zelizer's social networking website for peacebuilders, Peace and Collaborative Development Network, now has 22,250 Members.